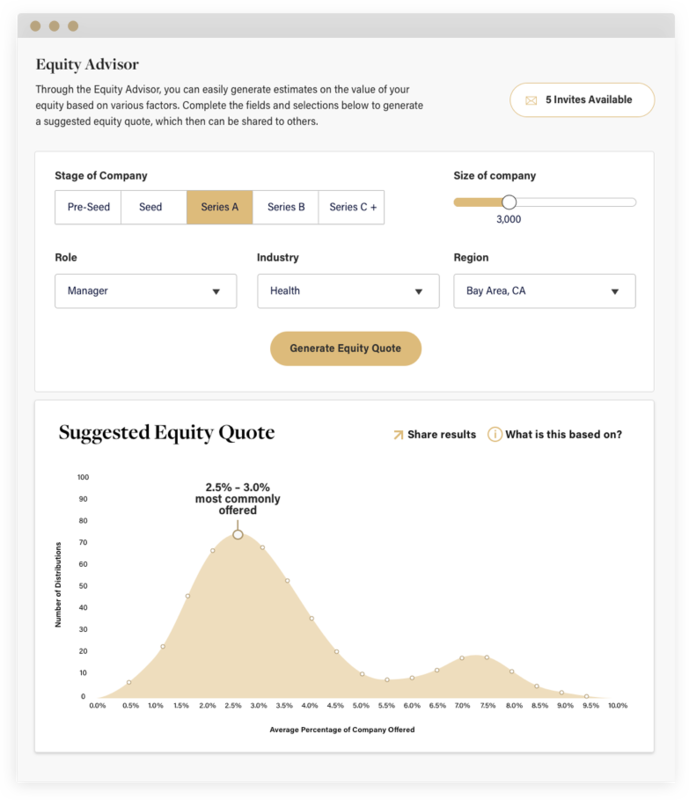 Using equity compensation survey data from thousands of startups, our equity calculator will help you offer grants that are competitive and fair. Easily find out how much equity employees will expect based on role and company stage. With equity compensation data collected from our ongoing survey of 2,000+ startups, you can confidently offer the right equity grant for any role. Our analysts are just a call or email away, so you’ll always be able to connect with an equity advisor when you use our calculator.